Marketing automation supports content marketing in 4 strategic ways. Track users’ interests to recommend relevant content streams. Assign scores to users to decide which are ready to contact and qualify. Offer content that helps buyers qualify themselves. 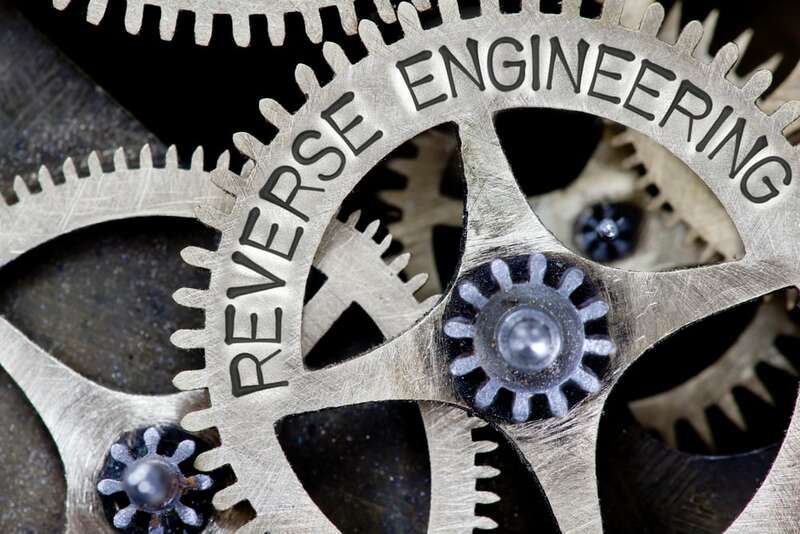 Enable reverse engineering of successful content-to-customer conversions. Once buyers give you permission to track them on your website with a cookie, you can see exactly which content each buyer is most interested in. Your marketing automation platform tracks use of multiple touchpoints such as your social media, email and website, so you get a more complete picture of how buyers interact with your content. Marketing automation supports content marketing creation, tracking and conversion. Topics are most relevant to a buyer. Media forms a buyer prefers – text, infographics, videos, podcasts? Media length a buyer prefers – short-form, medium or long-form content? Companies that offer a broad array of products or services, in particular, benefit from the early identification of topics that are relevant to a given buyer. For example, in financial services, there are lots of different reasons why a customer might turn to a bank. Marketing automation supports content marketing by identifying relevant topics for each buyer. The Bank of America website does this job brilliantly in 2 questions. 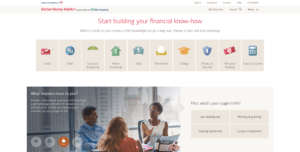 Which topic are you interested in: credit, debit, saving and budgeting, home ownership, auto, retirement, college, privacy and security, personal banking, taxes and income? Which stage of life are you in: just starting out, working and growing, nearing retirement, or living in retirement? By capturing these 2 answers, BofA learns a user’s topics of interest so it can offer topic streams that are completely relevant to the user. All that work, done in 2 clicks! Ask: How does your website steer users to relevant content? Marketing automation gives you visibility into what users are doing on your website. At first, most users nibble at a piece of content here or there. They might or might not return to your site. But a few website users will consume a ton of content quickly. When buyers are in a hurry, you need to flag them quickly for a follow-up call. 1 out of 5 buyers (22%) consumes 1 or 2 pieces of content. 2 out of 5 buyers (40%) consume 3 to 5 pieces of content. 1 out of 5 buyers (21%) consumes 5 to 7 pieces of content. 1 out of 6 buyers (17%) consumes more than 7 pieces of content! Marketing automation supports content marketing by serving up the content buyers need. Most buyers consume 3 or more pieces of content before talking to Sales. 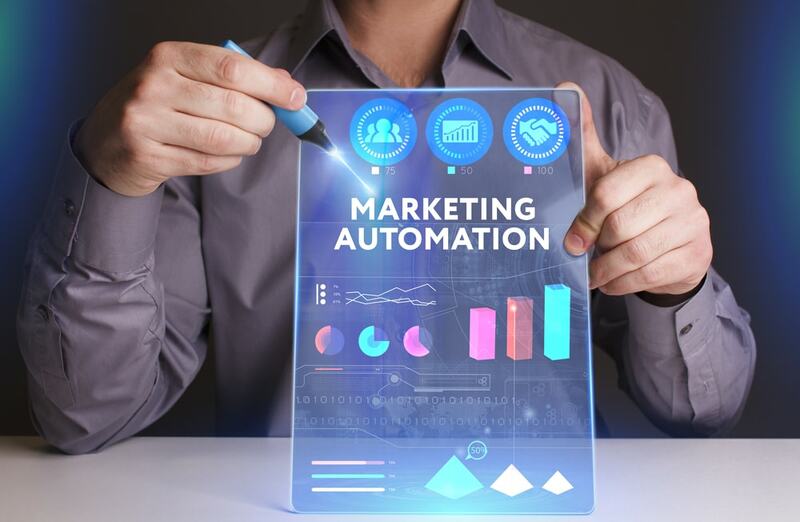 In marketing automation, you set a threshold to trigger marketing responses to users based on the amount of content consumed and the speed with which it’s consumed. At a minimum, marketing automation should flag buyers who consume more than 7 pieces of content over a short time period. This behavior isn’t mainstream, and there’s probably a motivated buyer behind it. It’s worth picking up the phone to qualify such buyers. Some companies perform these calls through an inside sales function. If your company doesn’t have inside sales, then your marketing demand generation manager needs to make these qualifying calls. Intent to purchase … or other purpose? Need that fits your offering? Timing – plans to buy now or later? How they found you in the first place? After you call the buyers who consume 7 pieces of content quickly, next flag buyers who consume 7 pieces of content gradually. Add these buyers into a nurturing campaign to keep them engaged until they’re ready to take the next step. If you have the resources to do so, pick up the phone and call them. For the buyers who have consumed 5 to 7 pieces of content, automatically offer them more content about their chosen topic(s) to nurture them along. For all buyers, suggest related pieces of content that they have not seen yet about the same topic. Keep creating new content so that your most interested buyers have a reason to return to your website again and again. Ask: How can you keep buyers engaged with a stream of relevant content over time? How can you refresh your content continuously to prevent it from going stale? Marcus Sheridan advocates using content to qualify customers — to increase Sales close rates and productivity. Here’s how author and marketer Marcus Sheridan applied a smart idea at River Pools and Spas. For years, he had called on prospective pool buyers at home before making a proposal to install a fiberglass pool. If you called for a proposal, Marcus visited you at home. Read a 35-page E-book about swimming pools. Here’s what happened next. Buyers who did not consume this qualifying content, on average, bought a pool 5% of the time. Not a bad rate for swimming pools. Buyers who did consume the qualifying content bought a pool 80% of the time. That’s a 16X improvement in close rates! Why? 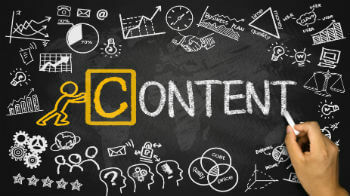 After consuming that much content, a buyer either loves or hates the company, Marcus deduced. Haters never called back. Haters saved valuable Sales time by eliminating the need to make follow-up calls. If buyers loved the content, they became far more likely to sign a contract. 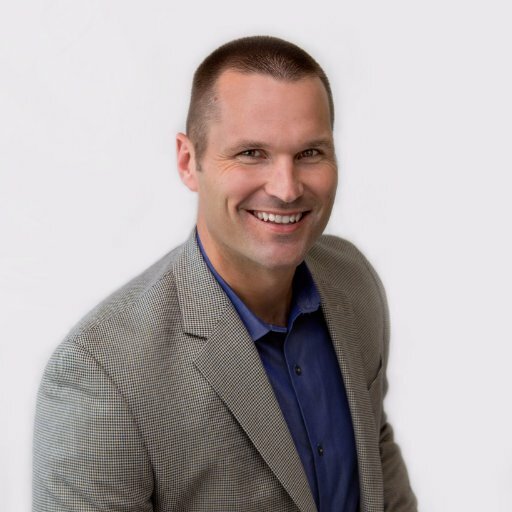 I learned this lesson the hard way in Marketing: it’s better to give Sales a small number of highly qualified buyers than a big number of unevenly qualified buyers. If Sales has been ignoring your marketing-qualified leads, choke the bottom of the funnel – give them only one-fourth to one-half as many leads as before. Once you hear positive feedback from Sales about the lead quality and close rates, ease up on throttling the bottom of the funnel. Ask: How can you use content to better qualify buyers before you hand them over to Sales? What’s the impact of content that helps Sales increase close rates? Marketing automation supports content marketing by reverse-engineering conversions. After a year of experience with marketing automation, you will have gathered enough sales tracked from start to finish to find ideas on how to improve content marketing. Which topics do buyers want more content about? Which pages are the best to offer to buyers first? How to smooth buyers’ path by recommending the next pieces of content? Where do buyers get stuck? How to attain soft conversions – a small ask that precedes a bigger ask? How to get more buyers to subscribe to your blogs or content feed? What are the likeliest paths to conversion for buyers? Doing this deep work with marketing automation analytics will help you map conversion paths to move buyers forward to a purchase. Generates reports to help you measure and prove content marketing success. Strategically turning content users into customers is what #contentmarketing is all about! 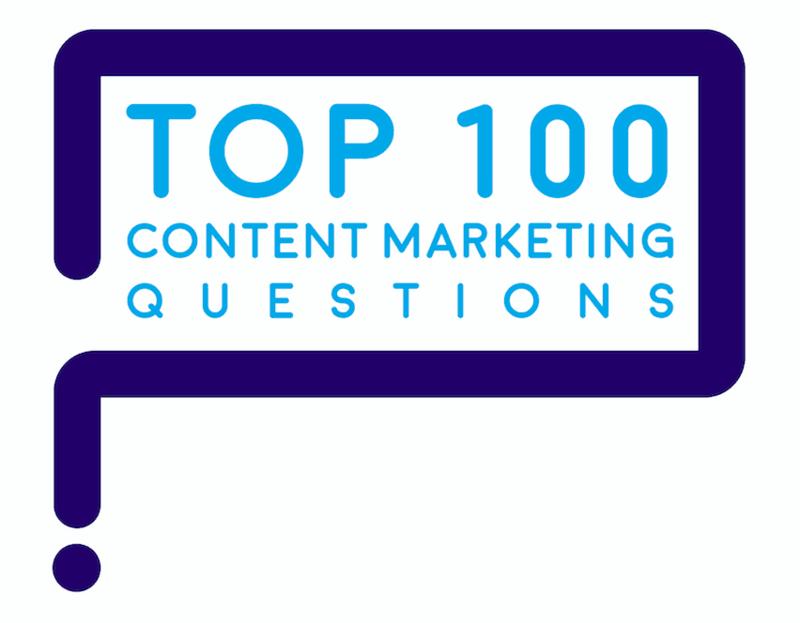 Discover the answers to marketers’ top 100 questions about content marketing. 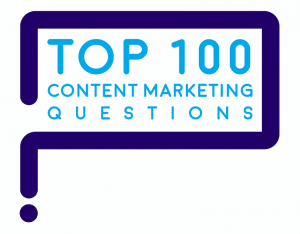 “How do you think a marketing automation environment best supports content marketing?” is one of marketers’ Top 100 Questions about #contentmarketing. Here are the answers.